Based on feedback from existing users and a recent round table, we’ve come up with a new set of product offerings. 1. 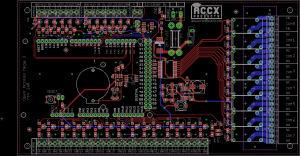 Open Access v3 Mega – This is an Arduino Mega version of the board we’ve been selling, with greatly expanded capabilities. Two sites have been beta-testing the new system, and a final version has been sent out for production now. 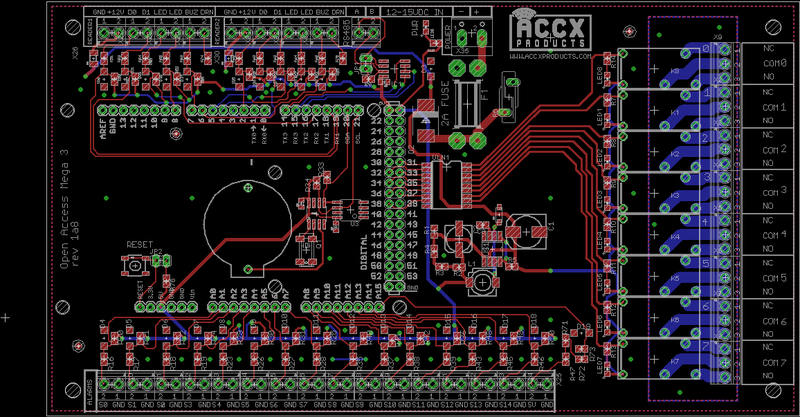 As mentioned before, this board has 16xSupervised alarm zones (one can also measure battery voltage), RS-485 serial, 8xrelays, 2xfully-implemented Wiegand readers with power, LED, etc. 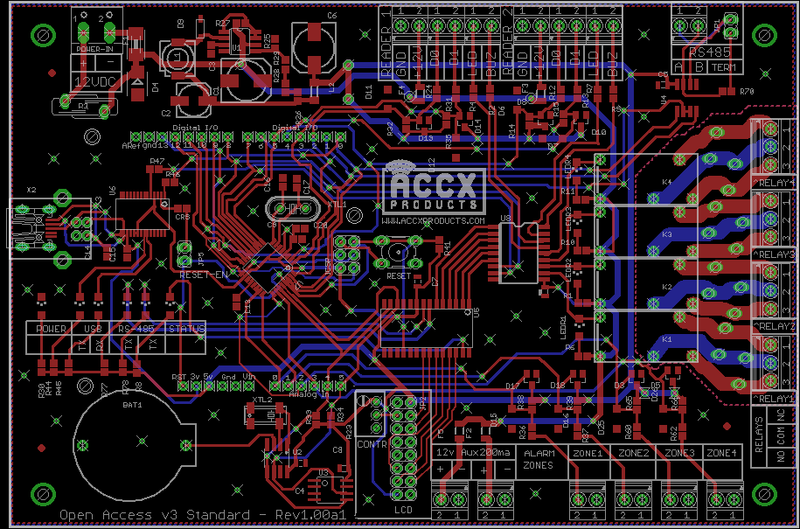 There is also one more new feature: a 25,000 user memory, thanks to the 1Mbit Atmel AT24C eeprom chip. This will allow large spaces to grow their edge system out past 200 users. 2. The Open Access v3 Standard. 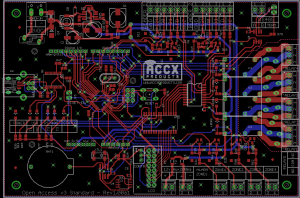 This version has an on-board Arduino-compatible based on the Atmega 328P chip and features 4xrelays, 2xreaders, 4xsupervised alarm zones, a 25,000 user memory, and all-new LCD display output. Several of you asked for something like this for controlling the system, building lockout panels for machinery, etc so here it is. 3. We’ve also just received samples of a new line of security power supplies. These are 12V powers supplies with 5-10A capacity and various options including power-distribution blocks and built-in UPSs. We’ll have pics up soon. That’s it for now! Be sure to check out Layer One 2012, where I’ll be speaking at the end of May.